Sometimes words just aren’t enough. With the Emoji app, your agents have a way to express themselves and communicate a full range of emotions. 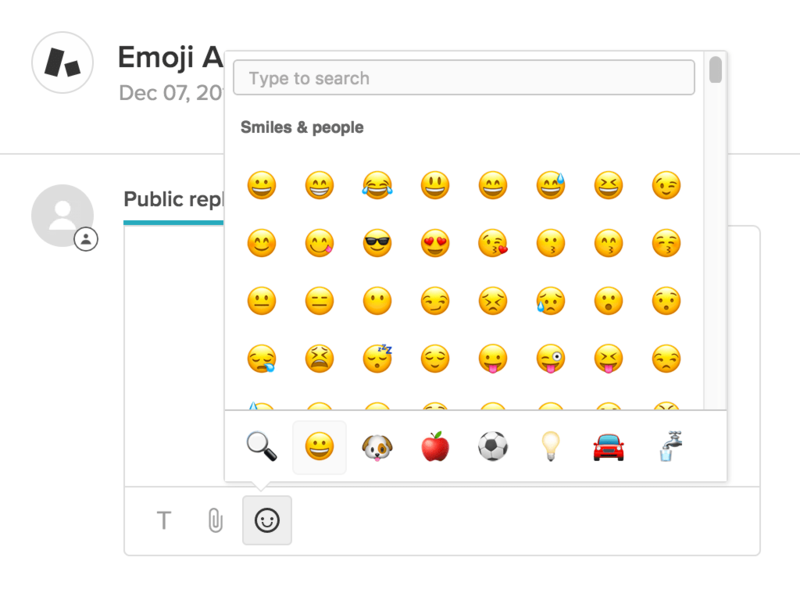 The Emoji app is located right in the Rich Text Editor toolbar, making it more accessible with fewer clicks, right when your agents need it. This app is available for everyone on a Team Plan or above who has enabled the Rich Text Editor. It’s pretty simple. All you have to do is install the Emoji app to use it immediately. There are also a few native configuration changes you can make to your app. 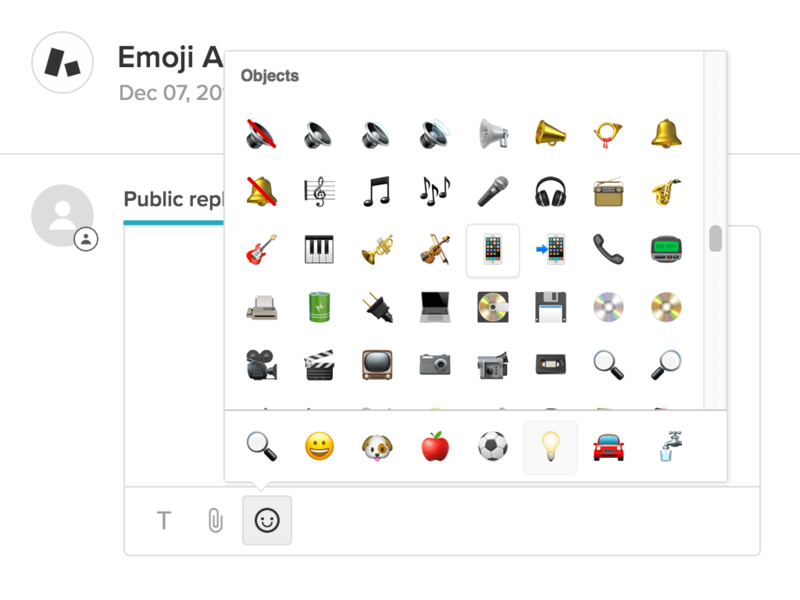 Title (Default: 'Emoji'): The name of the app as it appears in the apps list. Version setting (Default: Unicode versions 2- 6.1): These two minimum and maximum fields allow you to change the Unicode version that this app pulls in. Some teams with older software may want to not display the most recent versions. Categories (Default: All except Flags): Choose any Unicode categories that you’d like your agents to have access to. Enable role restrictions? (Default: No): Allows you to choose which agent roles that the app will be available for. If this is not checked, all agents will be able to use this app.